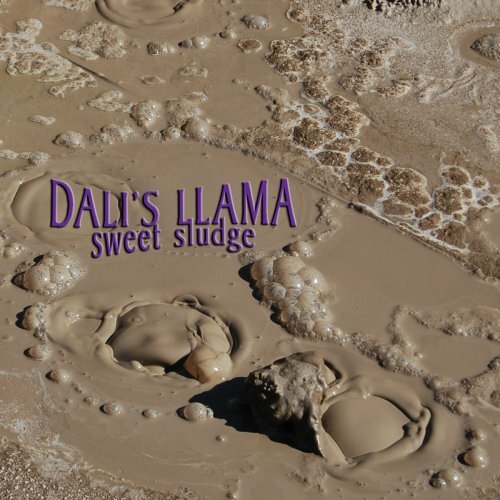 The Album Of The Day is "Sweet Sludge" by Dali's Llama. From the desert with love comes the melodic fuzz rock by Dali's Llama, a trio which boasts the production of Scott Reeder (Kyuss, The Obssessed). Deliberate beats that emit a near-tribal feel intertwine with demonic riffs that dually conjure up punk rock fury and stoner rock freedom while the vocals channel Layne Stayley on a mushroom high all over this swampy 10-track affair, enough to leave you sticky with delight for weeks on end thanks to cuts like "Creosote" and "Earth Mother Spin". Adorned with a psychedelic twist that helps envelope the listener, the overall wicked atmosphere this simple on the surface release throws out produce the kind of sturdy riffs suitable for smokeouts ("Micro Giant", "Age of Myth") as well as a whole lotta underground rock whose haunting melodies and gritty delivery stand out as prime reasons to pick this disc up and give it a spin on a long lonesome drive.